Paytm Gold Offer - PayTM is offering 21 Rs Cashback Offer on buying Gold from the Paytm Gold Section. If you are going to buy "Gold worth of 21 Rs" two times then you'll get 21 Rs Cashback for that purchase. Earlier this offer was liable for some specific users but now it's available for all PayTM users. The same "Gold Cashback Offer" you can see in the Cashback Offers Section. The name of this Gold Cashback Offer is 2 Pe 21 Gold Offer that simply means that buying two times the Gold worth amount of 21 Rs. 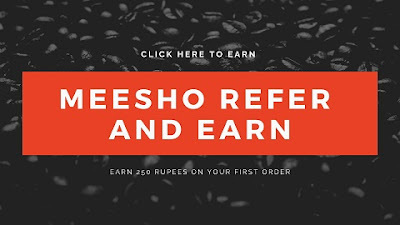 will give your Instant 21 Rs Cashback in your PayTM wallet. As per the 2 Pe 21 Gold Offer, you have to do 2 transactions for buying the Gold. Later this Gold can be sold on the PayTm itself. So you can cash out from the Gold amount too. If you are thinking to avail this offer then you can easily do that. We'll try to explain the method to convert the PayTM Gold into Cash amount by selling it on the PayTM itself. So if you are wondering how to get this 2 Pe 21 Gold Offer to get 21 Rs Cashback in our Paytm account? Then you can follow this post. Apart from this 2 Pe 21 Gold offer. You can avail another offer on Gold Cashback Offer on Paytm too. But first, you have to "Unlock this 2 Pe 21 Gold Offer". After availing this offer then you can see another offer of Gold Cashback i.e. 10 pe 100 Gold Offer. In this 10 Pe 100 Gold Offer, you have to do the same steps to buy the Gold 10 times worth rupees of 100. How To Get Cashback From Paytm Gold Offers? To get the cashback for buying the Gold on Paytm. You have to buy two times Gold worth amount of 21 Rs. Means you have to buy Gold worth 21 Rs twice. Which simply means you have to 42 Rs Gold. In order to get 21 Rs cashback. Later this 42 Rs amount gold you can sell it on Paytm to convert in real cash. First Open your PayTM App. Now Click on the "Cashback Offers" Section. There you'll see 2 Pe 21 Gold Offer. Now Click on it and buy the Gold for Amount 21 Rs First Time. Pay the amount using any method. Wait for the 5-10 Minutes. You'll get a message that you have "Unlocked 2 Pe 21 Gold Offer". Now again buy the Gold for amount 21 Rs Second Time. Done. Now, wait for 24 Hours you'll get 21 Rs Cashback in your PayTm Wallet. How To Avail 10 Pe 100 Gold Offer on PayTM? To avail the 10 Pe 100 Gold Offer. First, you have to avail 2 Pe 21 Gold Offer. After availing this, you'll be able to see 10 pe 100 gold offer. As soon as you see this offer you can avail this offer using the same method as you have availed the 2 Pe 21 Gold Offer. How To Convert the Paytm Gold into Cash amount? After purchasing the Gold now you must have been thinking to convert it into the Cash. So that you can use this cash for your further purchases. To sell your Gold on Paytm. You have to click on the Gold Option and then click on Sell option. That's how you can convert your Paytm Gold to Cash. First, open the Paytm App. Click on the "Gold" Section. Now Click on the "Sell" option. After this Enter the Gold in grams. Enter your Bank Details and Done. So this was the post about the Paytm Gold Cashback Offer. Where you can buy Paytm Gold two times and get assured cashback. Later you can convert your Gold into Cash amount. For this, you can read the whole post.